Francesco Geminiani was born at Lucca, in Tuscany, in December 1687. At an early age he showed considerable talent after being taught violin lessons by his father. Later he studied the violin under Carlo Ambrogio Lonati in Milan and then in Rome under the celebrated master, Corelli. It is also considered possible that he studied composition with Alessandro Scarlatti whilst staying in Naples. At the age of 20 he returned to his home town of Lucca where he played the violin in the Town Orchestra for three years. He then moved to Naples in 1711 to take up the position as Leader of the Opera Orchestra. By this time he had become recognized as a brilliant violin virtuoso; indeed the orchestra appears to have experienced some difficulty in following him due to his improvisational virtuosity, or, as the music historian Dr. Burney put it, "his unexpected accelerations and relaxations of measure". In 1714, he tried his fortune in England, where his brilliant violin playing immediately met with great success. 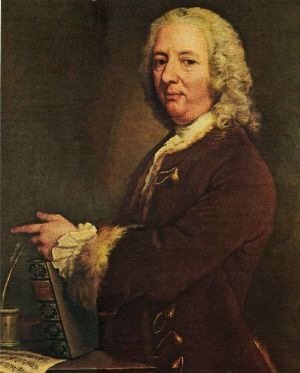 London had become a major European music center, thanks in part to Handel, who had himself studied in Rome under Corelli and thus brought a measure of Italian musical style with him. Geminiani gained much support from the aristocracy and leading figures at the Royal Court, and was invited to play the violin before George I, accompanied at the harpsichord by no less than Handel. He soon established himself in London as the leading master of violin-playing, with his concerts, his published compositions, and his theoretical treatises, the first and most important being "The Art of Playing the Violin" (1731) which included all the technical principles of essential violin performance. He also had aristocratic pupils, among them the Earl of Essex who in 1728 tried unsuccessfully to arrange for Geminiani to become Master and Composer of the State Music of Ireland. It was also the Earl of Essex who had to rescue him from prison after he ran into debt through his consuming passion for art-dealing and collecting. This may have led him to leave London for a period in Dublin in 1733, where he rapidly built up a fine reputation as a teacher, performer, concert promoter and musical theorist. In that same year, he opened a Concert Room in Dublin, using the upstairs premises for music and the rooms below for trading in pictures. However, he was soon to return to London to make it his permanent home, although he did pay another visit to Dublin a few years later. At this period of English musical life, as the essayist Roger North testified, Corelli's music had rapidly become the staple diet of players and music clubs alike: "Then came over Corelly's first consort that cleared the ground of all other sorts of musick whatsoever," wrote North in about 1726. "By degrees the rest of his consorts, and at last the conciertos [0p. 6] came, all of which are to the musitians like the bread of life." Whether out of respect for his teacher, or to "cash in on" his teacher's popularity is a matter of speculation; whatever his motive, Geminiani based his earliest published Concertos on Corelli's Sonatas for Violin and Continuo, Op.5. He later made further concerto arrangements from Corelli's Trios Op.1 and Op.3, as well as having made arrangements from his own Violin Sonatas Op.4. His own Concertos, Op.2 and 3, appeared in 1732 and 1733, the Op.3 Concerti Grossi being amongst his most popular works at the time. He revised and reissued them in full score in about 1755. In the opinion of Burney - usually a stern critic of Geminiani - the Op.3 concertos "established his character, and placed him at the head of all the masters then living, in this species of composition" (General History of Music, Vol. 4, 1789). He also published further Concertos as Op.7 (1746), and The Enchanted Forest, a staged pantomime scored for two violins and cello with an orchestra of two trumpets, two flutes, two horns, strings and timpani, was presented in Paris at the Tuileries palace in 1754. As a renowned violin virtuoso, he published several challenging collections of his Violin Sonatas which require dramatic flair from the player; indeed such was the difficulty of his Op.1 and 4 in particular that very few contemporary violinists dared play them in public. Among the Sonata movements are fugues and double fugues, strong in imitative counterpoint, and idiomatic passages of multiple stopping. Geminiani provided ornaments for both slow and fast movements as well as cadenzas; he advocated the use of vibrato 'as often as possible'. The expressiveness of his playing was much admired by both Hawkins and Burney; Tartini tellingly described him as 'il furibondo'. Geminiani was undoubtedly fond of arranging his own works: among his transcriptions are Harpsichord versions (1741) of his Op.1 and 4 and Concerto Grosso versions of Op.4 (1743). His Op.5 Cello Sonatas (published in Paris), together with a transcription for Violin (issued in London and The Hague), appeared in 1746. In about 1755 he published 'modernized' versions of the Op.2 and 3 Concertos, and in 1757 a final arrangement of Op.1 in trio format. He gained further fame from the publication of a series of practical treatises which were much reprinted, translated and paraphrased. In addition to The Art of Playing on the Violin, Geminiani produced Rules for Playing in a True Taste (1748), revised a year later as A Treatise of Good Taste in the Art of Musick, a Guida harmonica with supplement (c.l754), The Art of Accompaniment (c.l754) - written from the soloist's point of view - and The Art of Playing the Guitar or Cittra (Edinburgh, 1760). When considered together with his music and the implications of the alterations he made when reissuing collections such as Op.1 and 4, Geminiani's treatises represent an important source of post-Corellian performance practices.